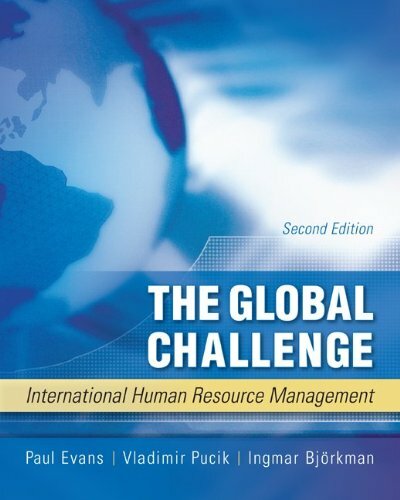 Through its focus on human resource management and organization, The Global Challenge: International Human Resource Management, provides a broad guide on how to manage the process of internationalization, with a particular focus on the transnational firm. In this edition, authors Evans, Pucik and Björkman discuss the “people implications” of traditional strategies for internationalization and how such strategies get executed through human resource management (HRM). They discuss such important topics as: how to manage expatriates from the parent country; how to go about adapting management practices to circumstances abroad; how to localize management; how to recognize and ultimately avoid obstacles in joint ventures; how to expand across borders through acquisitions; how to respond to the contradictory pressures of the transnational firm, where HRM has a critical role to play in enabling managers to resolve these paradoxes in innovative ways; how global competition is changing the nature of management and organization, even for firms operating in domestic markets. The book draws on practical examples from companies that have experienced the real challenges of international HRM. The authors carefully balance these real business applications with a wide scope of academic research. The issues presented in the first edition of this book have been updated throughout with new information from research and practice.